For over 50 years Red Box Engineering has specialised in sheet metal work and intricate metal fabrication. We have been trading since 1961, and it is our dedication to quality and customer service that keeps us here today. 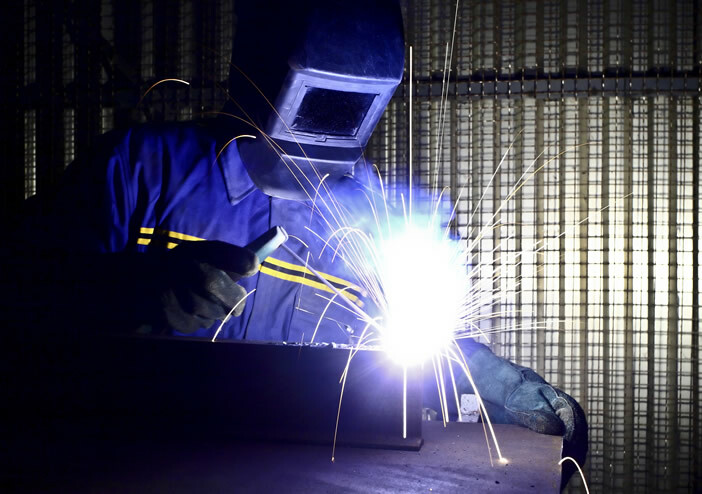 Our skilled team of metal fabricators offer the best possible product every time. From providing a complete design, metal prototyping and welding production service to simple production from your drawings. Red Box Engineering’s team, based in Southampton and Eastleigh, is on hand to give advice whenever needed. We are experts in all types of metal fabrication, including welding and steel fabrication with modern CNC manufacturing equipment allowing us to meet your needs. From sheet metal fabrication to welding and high pressure water jet cutting to plasma cutting, metal prototyping, sheet metal rolling and sheet metal punching, steel fabrication, whatever your project requires and however big or small it is, we can handle it. Being part of the Red Box group of companies also enables us to offer more than just metalwork and machined parts too. The Red Box group of companies have designers and engineers with an eclectic range of expertise, as a result we pride ourselves on being solution providers, helping bring concepts to reality through our design, engineering and prototyping services. Please contact us for all enquiries regarding our sheet metal fabrication, water jet cutting and welding capabilities. Red Box Engineering provide welding, machining, steel fabrication and more in Southampton, Eastleigh, Totton, Hampshire and throughout the UK.